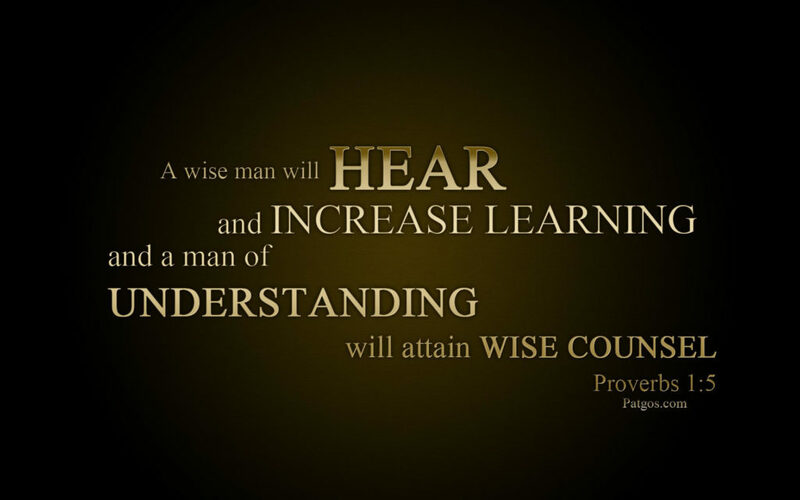 A wise man will hear and increase learning and a man of understanding will attain wise counsel. This week I am studying in 1 Kings 11-13 and 2 Chronicles 10-11. These five chapters in Scripture teach us the importance of hearing and listening and seeking wisdom and walking in it. Solomon, even though he had been gifted by God with wisdom that others came from all over the world to hear, chose to forsake that wisdom and walk according to his own way. In 1 Kings 11:14-40 we see God give him at least three opportunities to repent. The third being the raising up of Jeroboam the son of Nebat to rule over part of the kingdom. Instead of repenting as his father David had done when he would fall into sin, Solomon instead chose to become like the former King Saul and sought to answer his sin with more sin. Solomon chose to go after Jeroboam to put him to death… thus rebelling against the Word of the Lord. Solomon knew truth. Solomon had wisdom. Yet, he chose to ignore it. Jeroboam is handed ten tribes of the kingdom of Israel as a gift of God. All the Lord asks is that he obey His commands and walk in His ways. The Lord promises him that if he would do this then He would make his house like the house of David. Jeroboam receives this promise from God, yet he chooses to ignore Him. Instead of trusting God and walking by faith in the word that was given him, he chose to walk by fear. Jeroboam sets up idols in Bethel and in Dan to keep the people from going to Jerusalem to worship the Lord because he is afraid that going there for the commanded feasts would cause the hearts of the people to turn back their loyalty to Rehoboam the son of Solomon. We read a repeated phrase in 1 Kings 12:25-33, “he made”. Jeroboam removes the Lord’s priests and made priests of his own. He made his own idols, his own feasts, his own altars. He devised all this from his own heart and he set the northern ten tribes of Israel on a path of destruction. Jeroboam knew truth. Jeroboam had wisdom. Yet, he chose to ignore it. Rehoboam the son of Solomon is handed the kingdom at Solomon’s death. The people ask Rehoboam for mercy and for the heavy burden that Solomon had placed on them to be lightened. The elders advised Rehoboam to respond with mercy and lighten the burden of the people, but Rehoboam also turned to listen to the young men who served with him. These men advised Rehoboam to flex his muscles before the people. Rehoboam is given wise counsel from the elders that served his father, but he chose to forsake their counsel. He turned his ear to the young men that served with him. These men, most likely hungry for their own power and authority, advise Rehoboam to respond harshly to the people of Israel. Rehoboam chooses to listen to them and the people who would have loved him and gladly served him now rebel against him. Rehoboam knew truth. Rehoboam had wisdom. Yet, he chose to ignore it. Solomon, Jeroboam, Rehoboam three men in leadership. Three men all gifted by God with promises, truth, and wisdom. Three men all blessed with godly men around them to remind them of God’s promises, truth, and wisdom. Three men who chose to forsake wisdom, ignore truth, and forget the promises. Three men who could have had it all and led many to freedom and life instead led many to slavery and death. The wisdom that God gave Solomon He gives to us. His truth and promises are all there recorded for us in black and white in the pages of Scripture for any who chooses to read or hear. He goes even further to those who choose to surrender their lives to Him today and for all eternity in and through His Son Jesus Christ. For all who believe, Jesus becomes to us the wisdom of God (1 Corinthians 1:24, 1 Corinthians 1:30, Colossians 1:27-29). For all who receive Christ, the Spirit of wisdom comes to live within us (Ephesians 1:3-17). For all who will simply ask, He promises that He will grant us wisdom and give it to us generously (James 1:5). So what about us? Will we choose wisdom? When I stand at the cross roads of life… who will I allow to direct me? In 2 Chronicles 7:12 we read, “I have heard your prayer and have chosen this place for Myself as a house of sacrifice.” The Lord appeared to Solomon at night after he had completed the building of the temple and the building of his own house and spoke this truth to him. Solomon had prayed to the Lord at the dedication of the temple and had asked the Lord to bless the house he had built and to be with him and the people. We have Solomon’s prayer recorded in 2 Chronicles 6:12-42. The Lord answered his prayer that day with fire from heaven and the cloud of His glory filling the temple. I read 2 Chronicles 7:1-2 and in my mind I picture that day when fire came from heaven as a response to the prayers of Solomon. I see in my mind the cloud of the glory of the Lord filling the temple and His glory being so present and real that the priest could not even enter the temple. I imagine that day and that moment and I think, God, would you do that today? If Your people who are called by Your name really humbled themselves and came together without division and lifted up our sanctified hearts with one voice to praise and glorify You, would You send fire from heaven and the cloud of Your glory? It would be thirteen years later before the Lord would specifically respond to Solomon’s requests in prayer with the words recorded in 2 Chronicles 7:12-22. As I studied this week in 2 Chronicles and have turned over the prayer of Solomon and the Lord’s answer to him over and over in my heart, the words of the Lord in chapter seven verse twelve resonated within me. God responded to Solomon and said I have heard your prayer and have chosen this place for Myself as a house of sacrifice. God heard and God chose. God then called the place a house of sacrifice. He didn’t call it a house of joy, a house of praise, a house of celebration, or a house of meditation. He called it a house of sacrifice. This house was to represent a people who had turned away from the ways of the other nations and their gods. It was to be for a people who had turned from their own will and their own desires and chosen to walk in obedience to the Lord no matter the cost. It would be here in this place that the One True Living God would humble Himself to be in the presence of sinful man and forgive their sin and be there God. He would call them His own and make them a priesthood to the nations so that all the world might know His name. He would dwell among them in the cloud of His glory… that is, IF they remained faithful to Him. 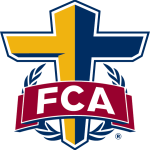 This is what made the Lord different from all the other gods of the nations. The God of Abraham, Isaac, and Jacob was more interested in the obedience of His people than the sacrifices they brought to Him. The house of the Lord was to be a house of sacrifice for a heart of obedience. Samuel knew this. Isaiah preached the reminder of this to a stubborn and rebellious people who had forgotten this. King Saul and King David learned this the hard way. Saul lost his kingdom and his mind, but David repented and turned his heart back to His God and was forgiven, healed, and restored. The house that Solomon built for the Lord was later destroyed by Babylonians. Then another house was built, Herod’s temple, but it too was destroyed by Rome. Yet, God had not forgotten His people. A house built by man for God could be destroyed by man, but a house built by God for God… no man could ever destroy. As God taught those who called on His name that He required a heart of obedience over multiplying sacrifices and as He allowed houses of man to be destroyed and His people scattered among the nations He illustrated that He was not bound by a house or a land but that He was present in the obedience of the hearts of His people. He clearly showed us this as He worked in the life of Daniel, in the life of Ezekiel, in the life of Esther and countless more. Then one day many years later a man named Jesus would meet a woman at a well and she would ask,“Sir, I perceive that You are a prophet. Our fathers worshiped in this mountain, and you people say that in Jerusalem is the place where men ought to worship.” (John 4: 19-20) Jesus would then answer her with, “But an hour is coming, and now is, when the true worshipers will worship the Father in spirit and truth; for such people the Father seeks to be His worshipers. God is spirit, and those who worship Him must worship in spirit and truth.” (John 4:23-24) Beloved of God, the Lord’s place of worship is a house of sacrifice for a heart of obedience and you are to be that place for His house. Our bodies are to be a house of sacrifice. Our lives laid down on the altar as an offering that is pleasing and acceptable in the sight of our God. The church is to be a house of sacrifice. A house where the sacrifice of praise is lifted up to a God who is worthy of nothing less than our complete surrender to His will, no matter the cost. Our body is to become a house of sacrifice for a heart of obedience. Here is the promise that the willing sacrifice of Christ made available to those who will believe. When we surrender our bodies, our lives, our hearts, our will to the One who surrendered His for us… He promises that He will never leave us and never forsake us and that cloud of glory that filled Solomon’s temple as the initial answer to His prayer fills our house as we are sealed with the Holy Spirit (Romans 8:9). Though our outer man might decay or be destroyed our lives remain… because we are more than flesh and bone. We are alive in Christ. Our worship is in spirit and truth and a new body, immortal and indestructible, awaits us.